An ALMAC Supercar Clubsprint XL Manual PDF is above the page. Alex McDonald founded the company in Wellington in 1984. 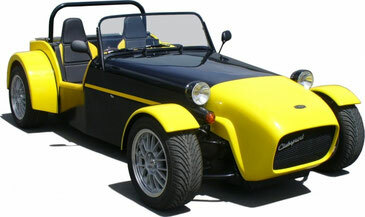 He started producing automobiles and kit cars in 1985. The brand name is Almac. The first model was the 427 SC. This is the replica of the AC Cobra. Various V8 engines from Chevrolet (Manuals page) and Ford (PDF Manuals) with some 7000 cc displacement drive the vehicles. While the front suspension comes from the Holden (Owner Manuals) Torana, Jaguar (Manuals PDF) cars's rear suspension is from the rear. 1986 followed a smaller model, which was first called TC and later TG. It was based on the chassis of the Triumph (Service Manuals) Herald. On it a one-piece body made of fiberglass was mounted. Visually, the vehicle resembled the MG (Manuals page) T-Type. This model is no longer available. In 1995, the Saber appeared, which was offered only as a complete vehicle. This roadster was based on the Ford Cortina, but had a V8 engine. The club sprint is similar to the Lotus (PDF Manuals page) Seven. The Clubsprint XL is a bit bigger.